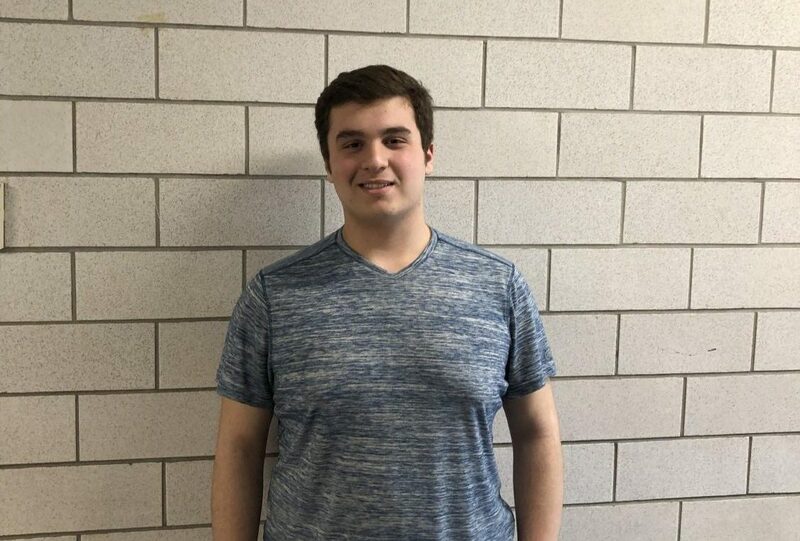 Peter Mentekidis was elected March 7th as president of the upcoming senior class. Peter is a three-sport athlete, playing on the varsity football team and running for both indoor and outdoor track. On top of all of this, he finds time to write for the student newspaper, the Ludlow Cub. He is editorial editor and enjoys interviewing people around the school as well as expressing his opinions on several topics including the bathrooms and promposals. He believes that having attended Saint John’s in Ludlow helps him be a more prominent member of the class. Since he belongs to “no clique in particular,” he believes that he has been able to reach out to more people as individuals instead of having one set group of friends. Peter’s campaign speech made the crowd quake: “I’ve seen the impact an ineffective student council can have on a class firsthand. I’ve seen the lack of class T-shirts, the lack of field trips. And when we do get these things, they feel cheap and lackluster,” he belted into the mic. Anyone in the auditorium could tell that Peter became president not because he was the most popular, or even the most qualified candidate; he was the candidate that related the most to the class as a whole. His candid, confident tone told the class that he knew exactly what he was talking about. “I want to make sure that senior week, senior show, and all the stuff we have to do senior year goes smoothly.